Conti Solar, a national solar engineering, procurement and construction (EPC), O&M and energy storage development company, has begun construction on the largest landfill solar project in Ohio. Located in Cuyahoga County, the 4 MW project is owned and operated by IGS Solar, a commercial and residential solar provider and an affiliate company of IGS Energy, one of the largest independent retail energy suppliers in the country. The solar project was developed by Enerlogics and McDonald Hopkins, and when complete, will provide over 5,000,000 kilowatt hours of clean solar electricity to county-owned facilities annually. 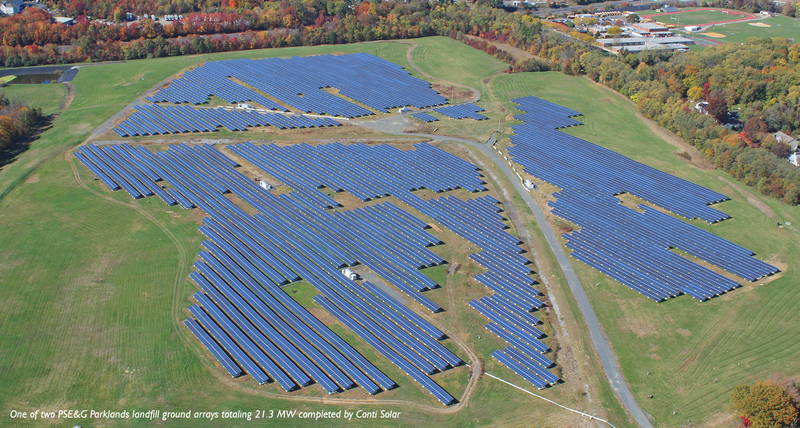 Solar projects built on landfills can be particularly complex, but Conti Solar has successfully installed more than 133 MW of landfill solar projects across the country. Their deep experience and knowledge with the processes and risks of landfill projects, along with their competitive buying power and superior execution capabilities establishes Conti Solar as a national leader in the segment. The Cuyahoga solar project is the first of its kind in Ohio. Covering 17 acres of previously unproductive land, Conti Solar will manage the construction of the solar array that will sit atop a closed-and-capped landfill and transform an area of waste into a sustainable solar power generation plant. The project will be a cornerstone of Cuyahoga County’s sustainable practices. Via a power purchase agreement (PPA), Cuyahoga County will acquire 100 percent of the project’s energy through Cleveland Public Power. Benefits of this unique project include significantly reduced energy costs for the county, additional tax revenue, and an estimated 100 local jobs. The project will be complete during the summer of 2018. To learn more about Conti Solar’s other completed landfill solar projects, visit www.contisolar.com/projects/type/landfill-arrays.